Looking for movie tickets? Enter your location to see which movie theaters are playing Rock Dog near you. 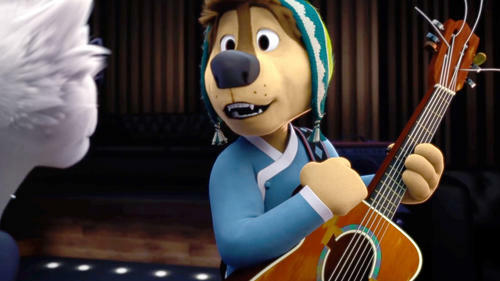 Mom's Movie Minute: Is ‘Rock Dog’ Perfect for Your 5-Year-Old? Want to take your kids to the movies this weekend? 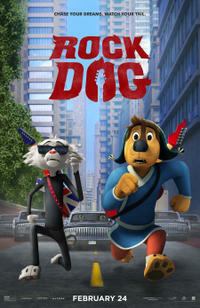 'Rock Dog' is the perfect family film for you. Janell Inez breaks down this heart-warming animated movie in this week’s Mom’s Movie Minute. Which movie's right for you this weekend? Get Out? Rock Dog? Fist Fight? To avoid distractions, Mastiff leader Khampa forbids all music from the mountain. But when Khampa's son Bodi discovers a radio, it takes just a few guitar licks for his fate to be sealed: Bodi wants to be a rock 'n' roll star.